No one ever said that moving was inexpensive, even after you get through paying for the house. With Orange Movers you’ll have more left over for those small essentials like your last name printed on the mailbox. You will feel the effortless effect of full service moving but your wallet won’t feel the pinch. Call us now to see how you can move with ease, without having to break your budget. Are you thinking about moving to Miami Gardens? There are many things you need to know before you make your decision! Have you already decided on good Miami Garden Movers? Have you learned about the city and how well it will fit your family? Moving is a long process, and careful planning is necessary. You never know what can pop up unexpectedly. Maybe you will need someone to take care of your kids while you pack. Or, you might need to find safe storage units in Miami to keep your things for a time. In this article, we give you some details about the city of Miami Gardens, as well as why we are the best Miami Gardens Movers there are! A suburban city in north-central Miami-Dade County, Miami Gardens is the principal city of the Miami metro area. You can find it stretching from I-95and NE 2nd Avenue on the east, while it reaches the NW 47th and NW 57th Avenues on the west. Up to the north, the city starts at the Broward County line and goes south to the 151st Street. It got its name after Miami Gardens Drive, which is one of the major roadways in the area. According to the 2017 estimate, the population of Miami Gardens was 113,750. It also carries the title of being the largest city in Florida with a majority African American population. However, keep in mind that the Miami metro area is a home to over 6 million people, as well. First, you want movers that respect your time. We all know just how long and tedious moving can be. There always seems like there is one more thing to do. The movers who respect your time will, however, greatly help with this. On the other hand, unreliable movers will take hours to complete a job that can be done in minutes. This can greatly upset your work schedule, which in turn causes stress and other problems. 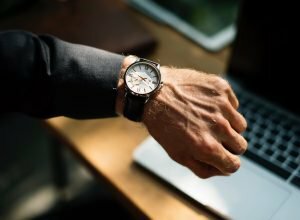 Punctuality is a key trait of a good moving company. Secondly, having punctual Miami Gardens Movers will save you money. Movers usually charge by hours, so having a team that can pack you up and transports you in no time at all will be cheaper for you that having movers that take their time with tasks. Another way in which you save money is that, by having punctual movers, you will not need to skip extra work days. In a work where time is money, this matters a lot. Of course, one of the biggest fears any person has is losing their items during the move. People fear them getting stolen, kidnapped by a fraudulent moving company or just damaged during the travel. This is why it is very important that you get a moving company that takes care of your items. Whether it is packing your furniture with care, transporting them in good trucks and during the loading and unloading, Miami Movers are the people for you. We have the right packing supplies for any of your items – no matter how big and odd they are. Our trucks are new and reliable, and our workers know the best roads to take. You can be sure your things will arrive at their destination securely and on time. Also, if you need storage for your belongings, we can offer great facilities for you. Our storage units are safe and have great conditions for keeping your items. Make sure you talk to our representatives about them when you call! There is nothing worse than working with people who cannot communicate well with their team members. This applies to life, but it works just as well in the moving business. Having great communication skills will ensure the job gets finished on time and goes as smoothly as it can. All good movers need great communication skills. This is why we are proud of our employees. During the moving process, you will have insight into every step of the journey. We will plan everything together with you. When the moving day comes, you will know exactly when to expect our movers and how the whole process will play out. Communication skills are also very important when it comes to dealing with issues. 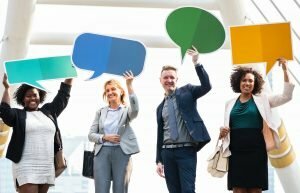 Talking through everything will help decrease the problems that can occur, but even if something unexpected happens, the movers can work with you to get around it. This is why communication is one of the key factors that make us the best Miami Gardens Movers. Finally, even though this might be a little obvious, you will want to have professional Miami Gardens Movers. Whether you are trying to prepare for a local move or a long distance one, treating you with respect is of utmost importance to us. In order to see just how professional a moving company is, take note of how they answer the phone. Look at how thoroughly the estimator does the in-home estimate. These little pointers will show you whether a company is reliable or not. You want a professional moving company. If something raises a red flag, don’t be afraid to look for a different moving company. Also, make sure you read through everything you sign carefully. You do not want to be stuck with a legally binding document with your name on it, that makes you do things you were not aware of. If you feel the need, get your lawyer to look over the papers too. Moving In or Out of Miami Gardens? Take the stress out of moving with our range of options to fit every need. With an expert team of packers, and professional crew on hand for the heavy lifting, we get your entire home essentials wound down and then set back up with ease. We are a budget friendly moving choice when you don’t want to have to deal with any of the work. Take a stress free walk in your new Miami Gardens neighborhood, while we take care of the moving in. Miami Gardens is a bustling suburb, perfectly sized for a business to thrive. 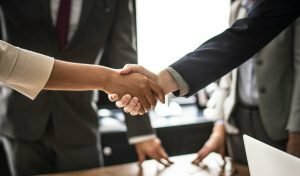 If yours needs to upgrade to a larger locale, or you’re a new business for the neighborhood, we have professional commercial relocation experts who will make it happen quickly. From moving office and computer equipment to large inventories of retail merchandise, we have commercial pricing plans that won’t chip away at your monthly P&L. Is a new house not home without your backyard bird bath? Or maybe the kids are jumping up and down to take their trampoline. All of our families have unique needs when moving, and we are proud to admit that we find solutions for them all. Whether it be an expensive piece of art, or a fragile plasma TV, our experts will be on hand to take care of it. Call us now and find out how you can get your biggest treasures to your new house in an efficient way. Experts say that moving is a huge stress factor, but not for us. We take pride in the full services we provide, especially those that take your troubles away. 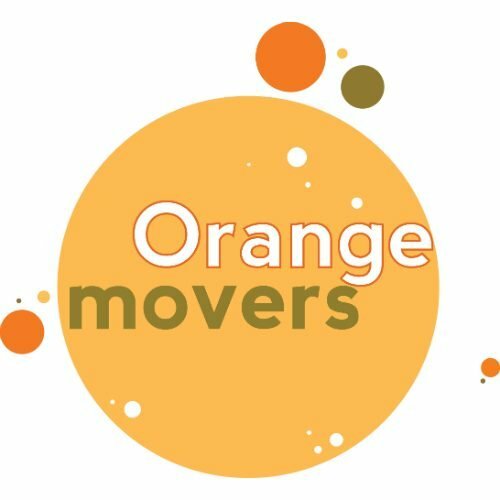 Your move to a new address in Miami Gardens is exciting, and with Orange Movers that will be your primary emotion. Make the effortless move with us, and not one moment of stress is going to ruin the exhilarating feeling of a new home or office space. Call us now and start feeling good about getting ready to move. Homes and businesses come in all shapes and sizes, and we have special moving prices for each one. No matter how much (or little) stuff you have, we’ll get it to your next location at a price that you’re comfortable with. You could even get some free stuff in the process. Call our moving experts now to find out how to get 10 moving boxes and a month of storage without paying a dime. The goal of Orange Movers is to make moving easy for our customers, at that includes being easy on the bank account. Some Southern Florida moving companies have a slightly skewed idea of what full service really means. For us, it’s not just a moving truck and a couple of guys, it’s getting the job done from start to finish. Our full service moving includes packing your boxes, putting them on the truck, and transport to your new Miami Gardens address. Wait, there’s more. Then we go ahead and unload that truck and unpack your boxes, so you’re not left with a moving mess. That’s full service moving, now give us a call to get your quote. We strive to make moving easy, whether that is with low pricing, full services, free stuff, or a combination of all three. Give us a call now, and put the hard work of moving into our hard working hands.